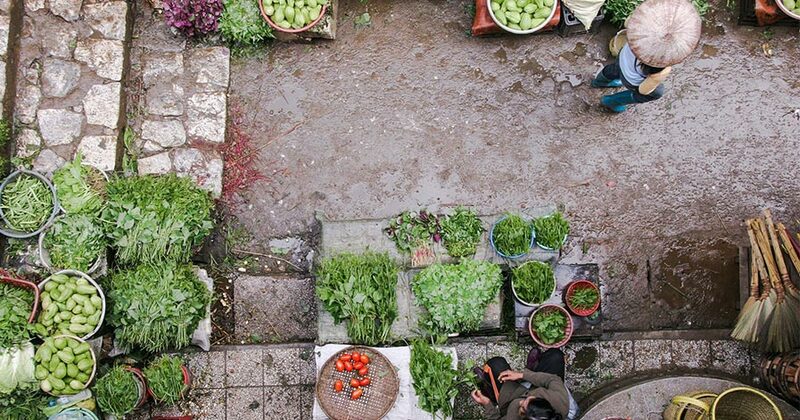 The rate at which homeowners use pesticides is three times more than farmers do. Most of the surface water contamination from pesticides and most of the wildlife pest poisonings come from single-family homes. This is why it is better to look for alternative means of controlling pests. Practicing no-till or no-dig gardening will help minimize the invasion of pests to the soil and in the garden. It will also help to boost the presence of beneficial microbes. Seaweed contains microelements such as barium, calcium, sulfur, iron, zinc and magnesium, which help promote healthy development in plants. The use of seaweed in spray or mulch form will help boost plants’ growth and give plants the strength to withstand infection. Seaweed mulch also repels slugs. Water your garden early so that the foliage will stay dry for most of the day. This is because insect and pests find it easier to attack wet foliage. If you already have an infected garden, you must make sure you clean your tools before working on other garden areas, which are not affected. This will reduce the speed of invading insects. Although you may not love seeing snakes, garden snakes help control small rodents, grasshoppers, slugs and more. Learn about how you can increase the number of snakes in your garden and put them into practice. The migration of plants from one garden to another can involve the transfer of pests and disease too. To prevent this, make sure you purchase soil amendments and plants from a trusted source. This will ensure there is no transfer of any pest or disease to your garden. Since insect pests are plant specific, you can practice both crop rotation and mixed cropping. When plantings are mixed, pests will find it difficult to spread throughout a crop. You can also prevent re-infestation of pests when you rotate crops each year. These plants may already be infected and if not removed may attract predators. Remove the plants and dispose of them away from the garden area. Mulching, natural composting methods, and top-dressing your soil with natural fertilizer or compost is the best way to develop sturdy, vigorous plants. You can learn more about how to develop and nourish healthy garden soil to know more. Try to clean your garden area from weeds and debris, which are breeding places for insects. Instead, use clean mulch. Not all pests must be removed from your garden. Some are still beneficial to the plants. Beneficial insects are those insects that can prey on harmful insects or their larvae. There are many species for specific problems; you just have to look for those that will help feed on harmful insects in your garden. These are small beneficial insects that will help you destroy leaf-eating caterpillars in your garden. You can draw them to your garden by planting celery, parsley, caraway, carrots and Queen Anne’s lace, all of which are members of the Umbelliferae family. These plants can be grown easily; it is their flower that attracts the insects. Ladybugs feed on mites, whiteflies, aphids and scale. To attract them to your garden, you can plant members of the daisy family (Compositae), yarrow or tansy. They are also available from online catalogs. There are so many other beneficial pests and insects like lacewings (consumers of aphids), hover-flies (consumers of aphids), praying mantis (consumers of most garden pests) and nematodes (consumers of cutworms). You can set aside a small portion of your garden to attract and harbor beneficial insects. These beneficial insects feed on most common garden insect pests, and they create a safer, natural alternative to pesticides. Mix a few drops of Ivory soap and one tablespoon of canola oil into a quart of water. Shake the solution well and pour into a spray bottle. Spray the solution on the plants from above-down and from below-up to touch all parts of the plants. The oil smothers the insects. Mix a few drops of Ivory soap with two tablespoons of cayenne pepper or hot pepper sauce into a quart of water. Leave the solution overnight, stir, pour into a spray bottle, and apply as above. This is very easy as you can just use potatoes as bait. Place the potatoes on the soil before planting. Just slice them on the soil surface; this will draw the wireworms out. You can just remove them along with the potatoes. Add two tablespoons of baking soda into a gallon of water and mix thoroughly. Pour into a spray container and spray it on the affected areas. This should be done for a few days, and the problem will cease. There are so many other DIY solutions to take care of pests in your garden. However, since sprays that kill harmful insects can also kill beneficial insects, you should use these homemade remedies selectively. This can be done by spraying only the infected plants. You can spray the plants early in the morning or just before dark. If rain falls, re-apply. To stay safe, always wear protective clothing when spraying insecticides. 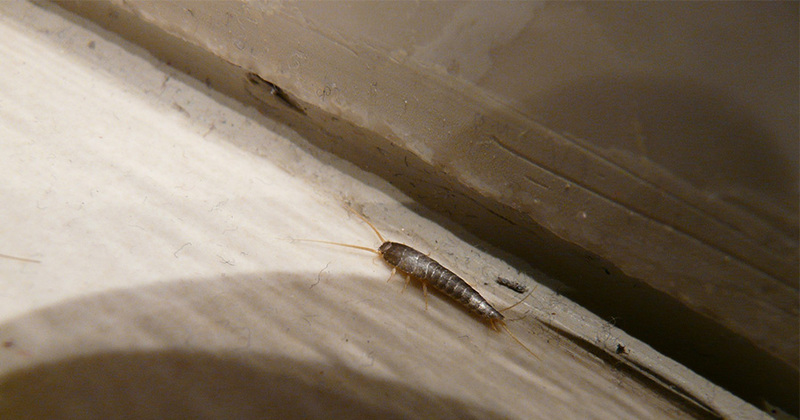 When it comes to how to get rid of silverfish, your best bet is turning to pesticides as a method of extermination. We go over the details.